Walk the purple carpet to #ENDALZ! During the Opening Gala you'll be able to meet the team of 24 notable interior designers, 2 architects, and 1 builder have joined forces to architect, design, build, and decorate this 8,000 square foot Texas estate. 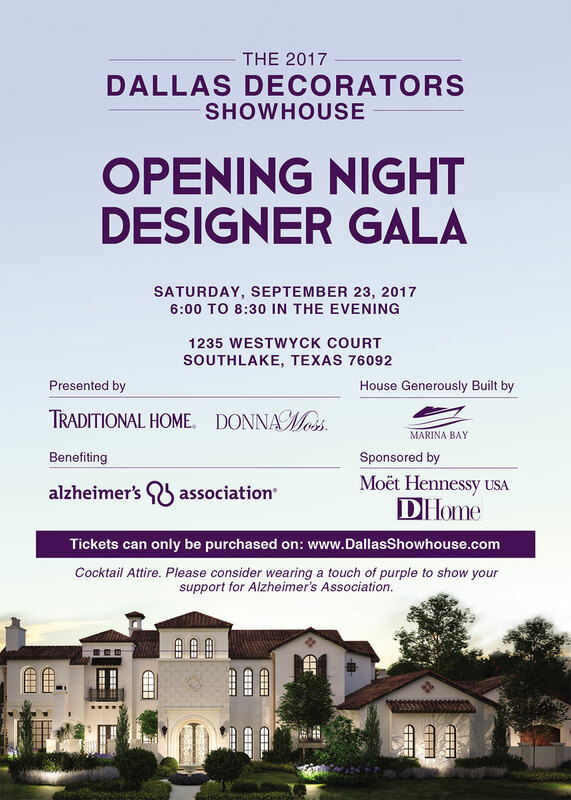 Located in Southlake, Texas and developed to benefit Alzheimer's Association, the first-ever Dallas Decorators Showhouse and Opening Designer Gala is presented nationally by Traditional Home magazine, hosted by Donna Moss from the HGTV show Donna Decorates Dallas and locally sponsored by D Home and D magazine. Champagnes, spirits, and cocktails are generously sponsored by the entire Möet Hennessy portfolio. 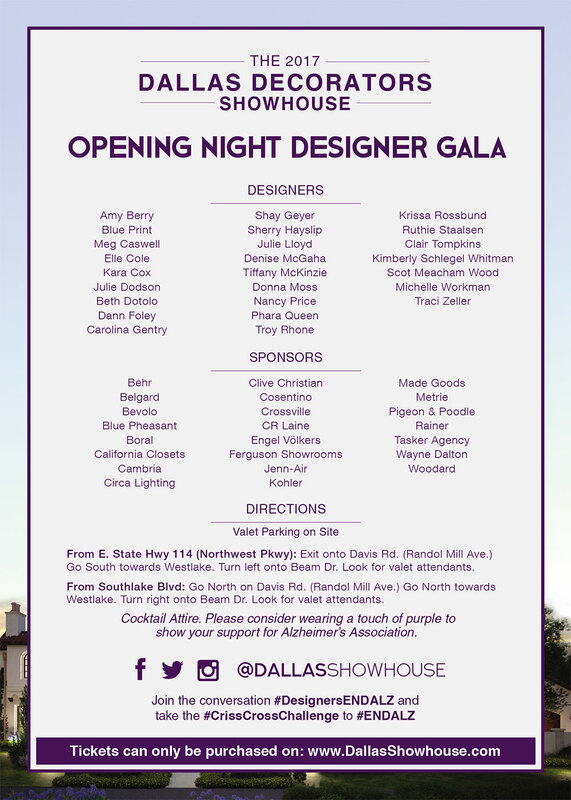 Rub elbows with celebrities, bloggers, and members of the media and experience Dallas Decorators Showhouse as a gala attendee or reserve a VIP Table for 10 to help #DesignersENDALZ. 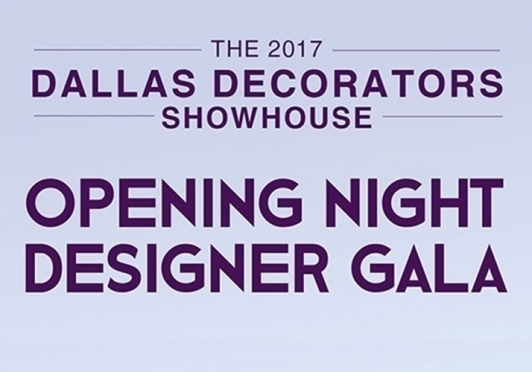 Saturday, September 23, 2017 - starting at 6pm until 8:30pm.